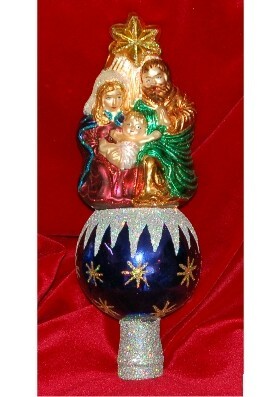 The primary difference between a tree topper and a finial is lineage. 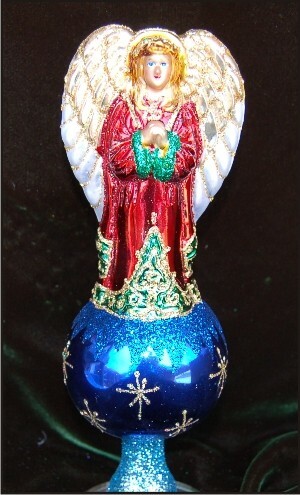 A tree topper is intended to be a decorative piece on top of the tree. 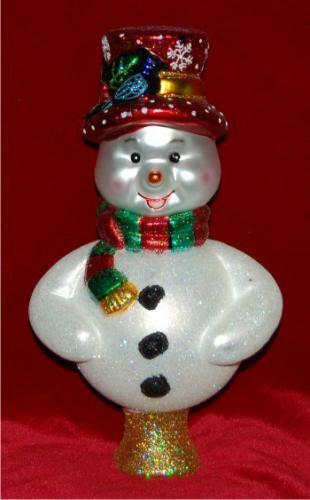 Christmas tree toppers could be made of paper or resin or just about anything provided that it was decorative and sat on top of the tree. A finial, on the other hand, sits on top of anything. Most commonly we see them on top of nicer lamps; they screw in the top, keeping the silk lampshade in place firmly. 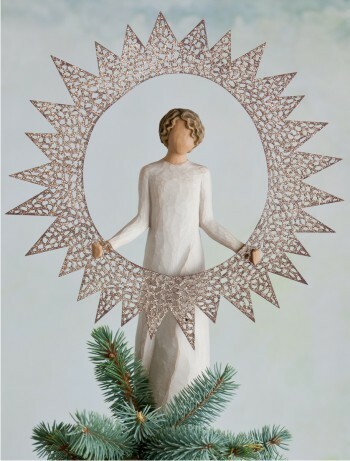 For our purposes here, we sell tree toppers in a few styles in the $20-30 range. 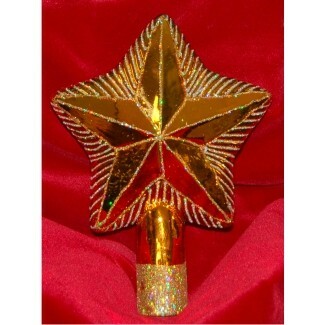 We offer a star Christmas tree topper, as well as angel Christmas tree toppers and a snowman and several relgiously-themed toppers. 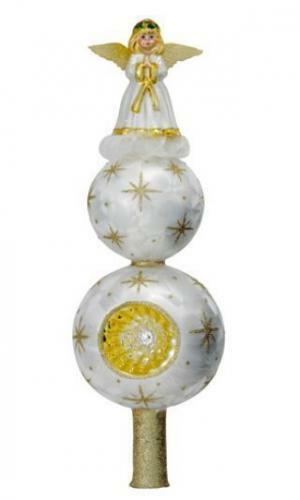 In glass tree finials, we offer 100% blown glass only made by Polish artisans. 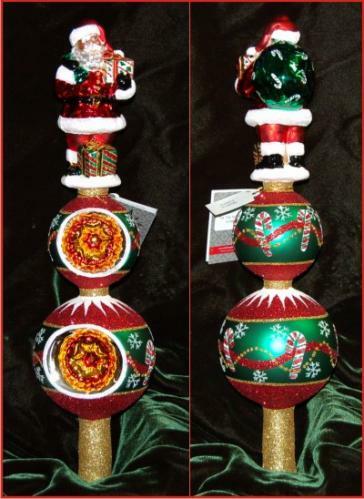 They're simply the best, and when you're going to invest $100 or more in a tree finial, we make sure it's a finial tree topper you can be proud of for each of the years to come. You'll find everything from artsy woodland designs, to peacock themes, to Santa and the North Pole. 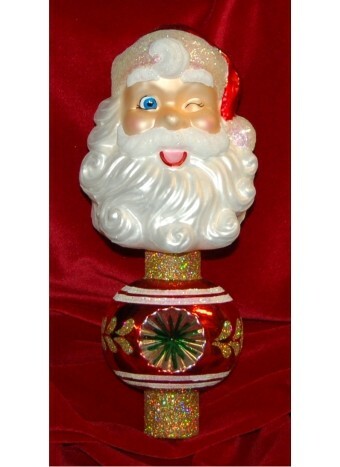 We also offered our own exclusive Santa's List personalized glass finial made by Christopher Radko glass blowers in Poland.